The respiratory system functions primarily to maintain the exchange of oxygen and carbon dioxide in the lungs and tissues and to regulate acid-base balance. Any change in this system affects every other body system. Conversely, changes in other body systems may reduce the lungs’ ability to provide oxygen and eliminate carbon dioxide. 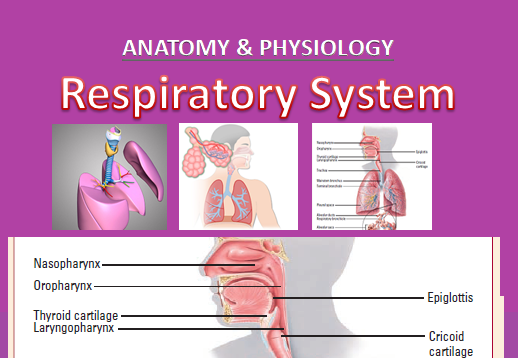 The respiratory system consists of the airways, lungs, bony thorax, and respiratory muscles and functions in conjunction with the central nervous system (CNS). These structures work together to deliver oxygen to the bloodstream and remove excess carbon dioxide from the body. The airways are divided into the upper and lower airways. The upper airways include the nasopharynx (nose), oropharynx (mouth), laryngopharynx, and larynx. Their purpose is to warm, filter, and humidify inhaled air. They also help make sound and send air to the lower airways. The epiglottis is a flap of tissue that closes over the top of the larynx when the patient swallows. It protects the patient from aspirating food or fluid into the lower airways. The lower airways begin with the trachea, which then divides into the right and left mainstem bronchial tubes. The mainstem bronchi divide into the lobar bronchi, which are lined with mucusproducing ciliated epithelium, one of the lungs’ major defense systems. The lobar bronchi then divide into secondary bronchi, tertiary bronchi, terminal bronchioles, respiratory bronchioles, alveolar ducts and, finally, into the alveoli, the gas-exchange units of the lungs. The lungs in a typical adult contain about 300 million alveoli. Each lung is wrapped in a lining called the visceral pleura. The larger of the two lungs, the right lung has three lobes: upper, middle, and lower. 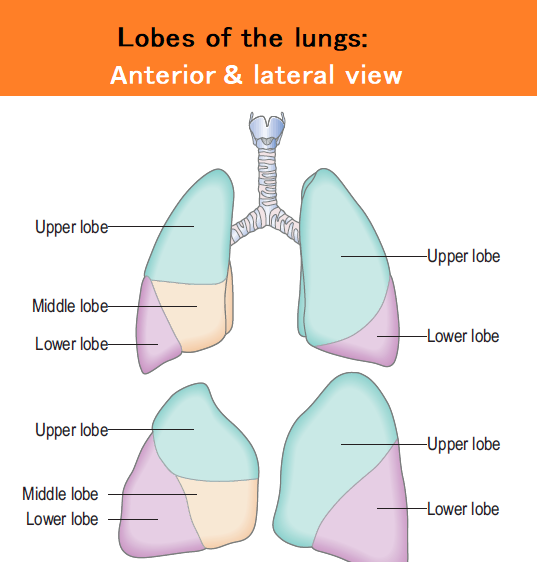 The smaller left lung has only an upper and a lower lobe. The lungs share space in the thoracic cavity with the heart, great vessels, trachea, esophagus, and bronchi. All areas of the thoracic cavity that come in contact with the lungs are lined with parietal pleura. A small amount of fluid fills the area between the two layers of the pleura. This pleural fluid allows the layers of the pleura to slide smoothly over one another as the chest expands and contracts. The parietal pleurae also contain nerve endings that transmit pain signals when inflammation occurs. The bony thorax includes the clavicles, sternum, scapula, 12 sets of ribs, and 12 thoracic vertebrae. You can use specific parts of the thorax, along with some imaginary vertical lines drawn on the chest, to help describe the locations of your findings. Ribs are made of bone and cartilage and allow the chest to expand and contract during each breath. All ribs attach to the vertebrae. The first seven ribs also attach directly to the sternum. The 8th, 9th, and 10th ribs attach to the costal cartilage of the ribs above. The 11th and 12th ribs are called floating ribs because they don’t attach to anything in the front. The diaphragm and the external intercostal muscles are the primary muscles used in breathing. They contract when the patient inhales and relax when the patient exhales. The respiratory center in the medulla initiates each breath by sending messages to the primary respiratory muscles over the phrenic nerve. Impulses from the phrenic nerve adjust the rate and depth of breathing, depending on the carbon dioxide and pH levels in the cerebrospinal fluid (CSF). Oxygen-depleted blood enters the lungs from the pulmonary artery off the right ventricle, then flows through the main pulmonary vessels into the pleural cavities and the main bronchi, where it continues to flow through progressively smaller vessels until it reaches the single-celled endothelial capillaries serving the alveoli. Here, oxygen and carbon dioxide diffusion takes place. The lungs help maintain acid-base balance in the body by maintaining external respiration (gas exchange in the lungs) and internal respiration (gas exchange in the tissues). Oxygen collected in the lungs is transported to the tissues by the circulatory system, which exchanges it for the carbon dioxide produced by cellular metabolism. Because carbon dioxide is 20 times more soluble than oxygen, it dissolves in the blood, where most of it forms bicarbonate (base) and smaller amounts form carbonic acid (acid). Cough is a characteristic sound caused by a forced expulsion against an initially closed glottis. Acute cough is one lasting less than 3 weeks; chronic cough lasts more than 8 weeks. The most common cause of acute cough is acute upper respiratory tract viral infection. Acute cough is usually self-limiting and benign, but may occur in more serious conditions. 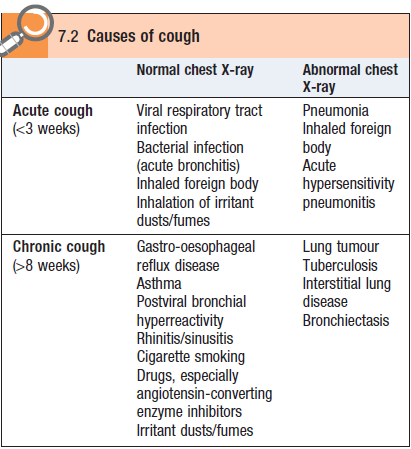 Chronic cough in a non-smoker with a normal chest X-ray is usually caused by gastro-oesophageal reflux disease, chronic sinus disease with postnasal drip or angiotensin-converting enzyme inhibitor. Severe asthma or chronic obstructive pulmonary disease (COPD) causes prolonged wheezy cough and often a paroxysmal dry cough after a viral infection that lasts several months (bronchial hyperreactivity). Dysphonia (hoarseness) is most commonly caused by laryngitis. Damage to the left recurrent laryngeal nerve by lung cancer at the left hilum causes hoarseness with a prolonged, low-pitched, ‘bovine’ cough as the left vocal cord cannot adduct to the midlin. Wheeze is a high-pitched whistling sound produced by air passing through narrowed small airways. It occurs with expiration, but patients may call rattling sounds from secretions in the upper airways or larynx or the inspiratory sound of stridor wheeze. Wheeze on exercise is common in asthma and COPD. Night wakening with wheeze suggests asthma or paroxysmal nocturnal dyspnoea, but wheeze after wakening in the morning suggests COPD. Stridor always needs investigation. Common causes include infection/inflammation, e.g. 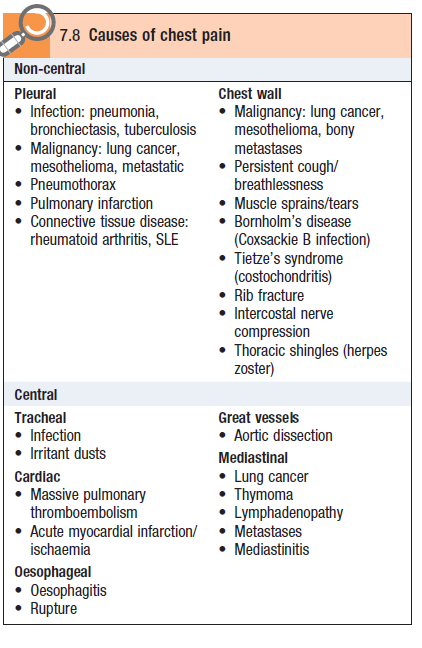 acute epiglottitis in children and young adults, and tumours of the trachea and main bronchi or extrinsic compression by lymph nodes in older adults. Rarer causes include anaphylaxis and foreign body. Stertor Stertor, or muffled ‘hot potato’ speech, occurs with nasoor oropharyngeal blockage, e.g. quinsy. Sputum is mucus produced from the respiratory tract. 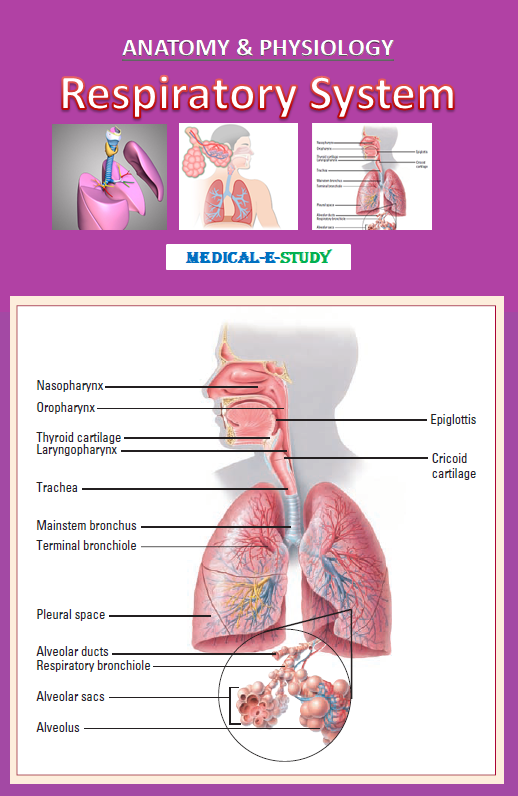 The normal lung produces about 100 ml of clear sputum each day, which is transported to the oropharynx and swallowed. 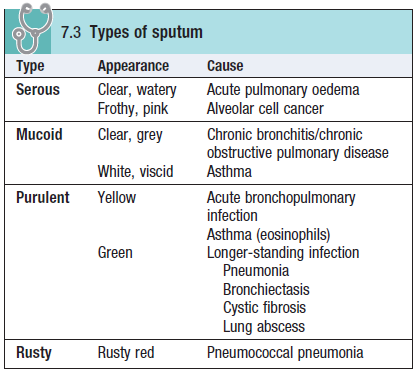 There are four main types of sputum. Dyspnoea (breathlessness) is undue awareness of breathing and is normal with strenuous physical exercise. Patients use terms such as ‘shortness of breath‘difficulty getting enough air in or tiredness. Haemoptysis is coughing up blood from the respiratory tract and always requires investigation. Chest pain can originate from the parietal pleura, the chest wall and mediastinal structures. The lungs do not cause pain because their innervation is exclusively autonomic. Pleural pain is sharp, stabbing and intensified by inspiration or coughing. Irritation of the parietal pleura of the upper six ribs causes localised pain. Irritation of the parietal pleura overlying the central diaphragm innervated by the phrenic nerve is referred to the neck or shoulder tip. The lower six intercostal nerves innervate the parietal pleura of the lower ribs and the outer diaphragm, and pain from these sites may be referred to the upper abdomen. Common causes of pleuritic chest pain are pulmonary embolism, pneumonia, pneumothorax and fractured ribs.